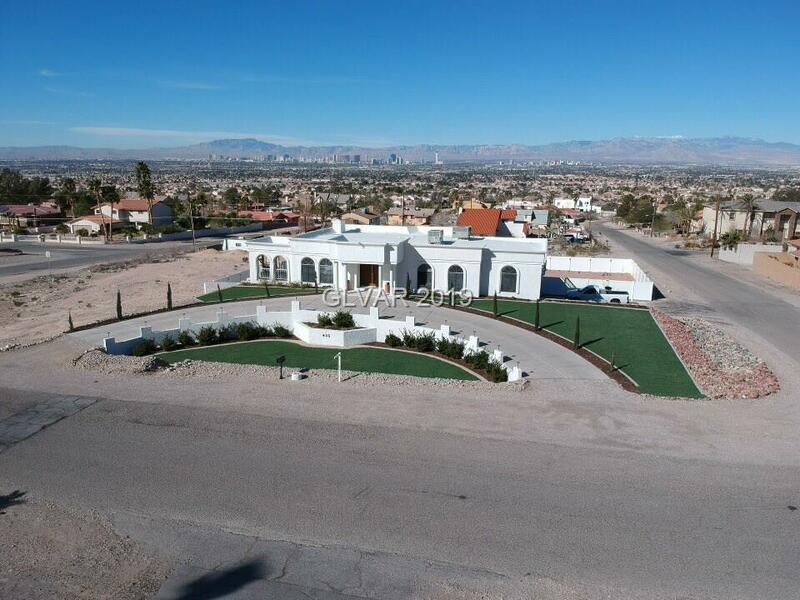 Custom home NO HOA surrounded by unubstructed VIEWS of the Strip, Frenchman's Mountain & the entire Las Vegas Valley! This One of a kind home sits high up on almost 1/2 an acre w/ 4,340 SqFt! 3 massive bedrooms all with a private ensuite and huge walk in closet! 2 additional 1/2 baths for a total of 5 baths!Home has 2 fireplaces,RV parking, Even a PRIVATE ELEVATOR. New tankless water heater DEC 2018! Directions: From I-95 And Charleston, East On Charleston, Left On Hollywood, Right On Stewart, Left On Los Feliz, Property On The Corner.